Over the last several years I've made efforts here and there to get healthy. I've tried training for half marathons, had a few different gym memberships, and even got a treadmill for our house, but nothing really seemed to stick Since having kids I've felt like my body has been pretty drained physically and I've honestly been wanting to put on a few pounds to fill out a little more, and just simply be healthier. Last week I started waking up a few days a week at five in the morning to attend a local Cross Fit class. I was really hesitant about starting Cross Fit since I'd heard a lot of things from several people about it being kind of awful, and to avoid the sport like the plague. I've been pleasantly surprised by the gym that I've been going to, and find that they don't fall into the typical Cross Fit pit holes that I'd been told to steer clear from. One thing about Cross Fit is that it's definitely high intensity workout, and if I don't fuel my body with the right foods, I'm not going to be able to keep going long term. I've been making it a point to drink lots more water, eat a few more snacks each day, and add lots more protein into my diet to help maintain the muscles that I'm working so hard each morning to grow. 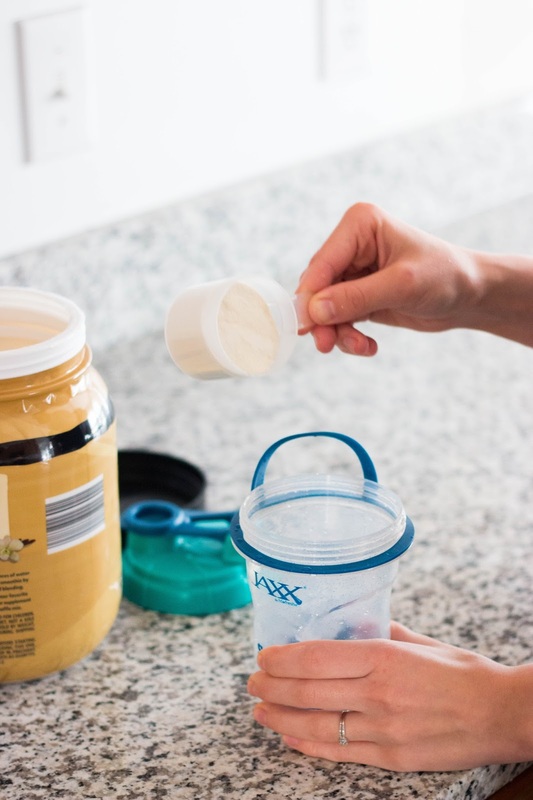 If you're looking to add a little more protein to your diet, here are somethings that I'm doing that may help! 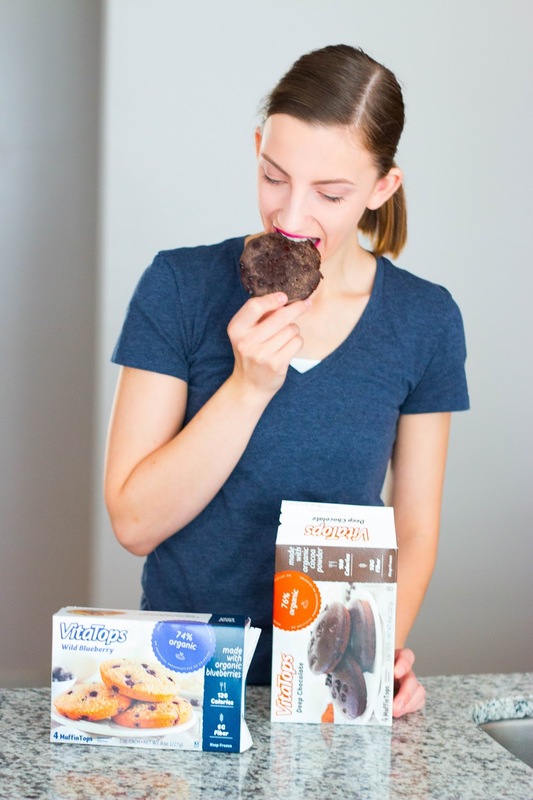 VitaTops: These are my go-to morning breakfast for when I'm heading into the gym! I love that they have 5-8 grams a protein depending on the flavor, and 8g of fiber to keep things moving in the right direction. They're super yummy and come in lots of different flavors. My current favorites are Deep Chocolate and Wild Blueberry. You can snag them from Publix in the frozen breakfast section, and you won't be sorry that you did. 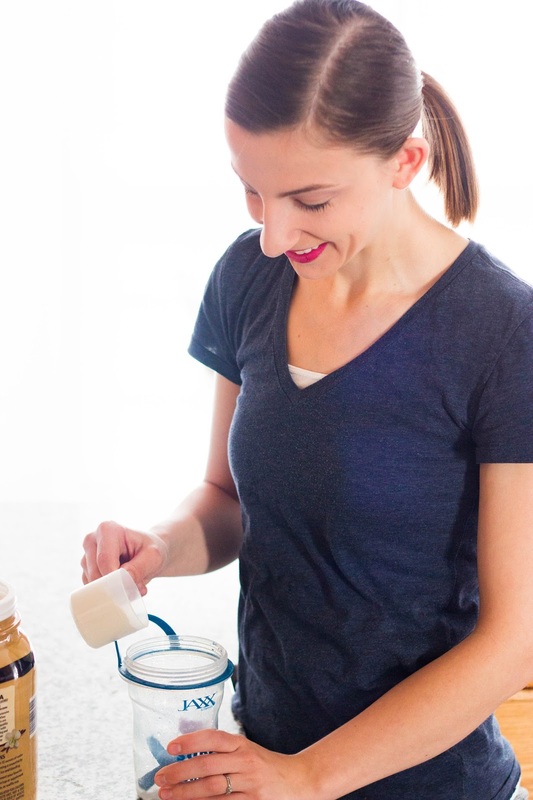 Protein Shakes: I've been making sure to drink one of these each day that I work out. I'm not incredibly picky when it comes to protein powder, as long as it has 30g of protein per serving, I'm good to go. I make sure to drink this within 30 minutes of finishing my workout and it helps replenish my muscles, and keep me full until breakfast time. Breakfast Casserole: I've been making this recipe a lot lately on Sundays, and then eating the leftovers throughout the week for breakfast each morning. It's an awesome blend of eggs, potatoes, sausage, and red peppers, so it really hits all the major food groups in one meal and tastes amazing. It's quickly become a family favorite recipe. Protein Bars: Lets be real for a moment here. Not all protein bars are created equally. Most of the ones I've tried recently are awful. I think they almost might be worthy of their own blog post at this point, but my favorites right now are these cookie dough ones from Aldi. 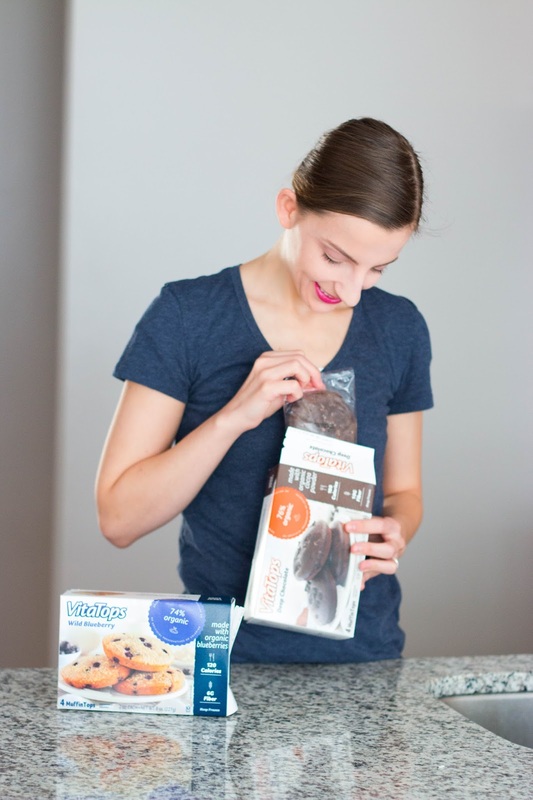 Do you have protein bars that you love? Let me know in the comments below! I love the Premier Protein shakes! We get them in bulk from Costco, but I've seen them at Walmart, too. The chocolate and caramel are both so delicious! And that's a brilliant idea.... Making a breakfast casserole to eat throughout the week! I have to change my diet too since I decided to go more often to the gym! Great products! Breakfast casserole was something that I've learned about from my brother! The best way to get a healthy meal and start a day. I have such a sweet tooth, I love Balance Bar's Chocolate mint cookie crunch. 14g protein and tastes reeeally good. I love breakfast casseroles and can't wait to try that recipe. As a vegetarian, I'm always looking for healthy ways to get proteins. 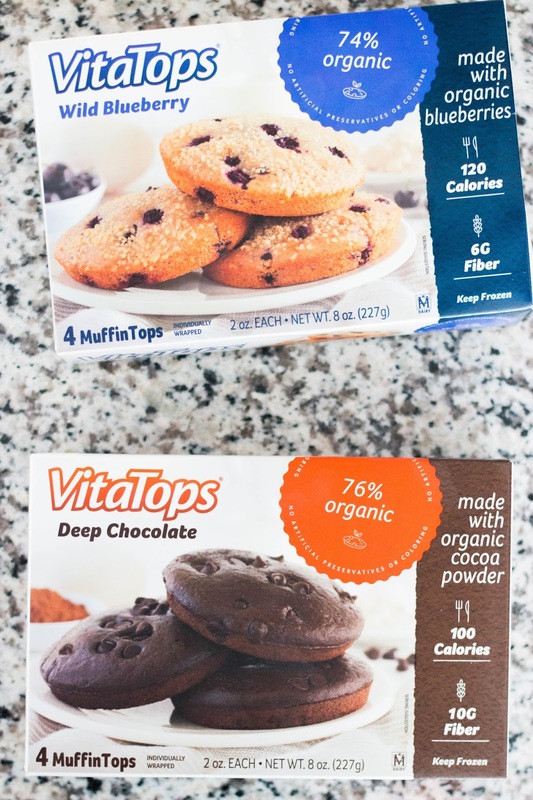 I have a protein/green shake in the morning, but these Vitatops look delicious! I have never heard of Vitatops before. They look great! Getting enough protein is so important. I love the sound of your breakfast casserole!